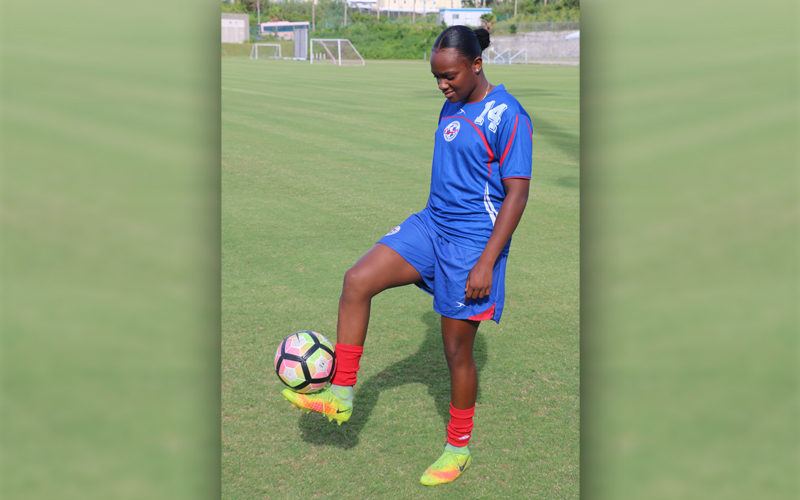 In the fifth in a series of profiles of football players who will be part of the team representing Bermuda at CONCACAF Caribbean Women’s Under-20 Qualifier that will take place on July 19, July 21, and July 23 at National Sports Center, we spotlight 16-year-old Teyah Lindo. I feel accomplished because it is not easy to make any of the national squad teams, it’s a lot of work and commitment. Personally, I have been getting my mindset together, staying focused, remaining calm and staying in the game. I started playing football at Dandy Town with the U10 girls at the age of 9 and it was just something I had wanted to do. 4. Do you feel that girls’ and women’s’ football gets enough support from the local community? 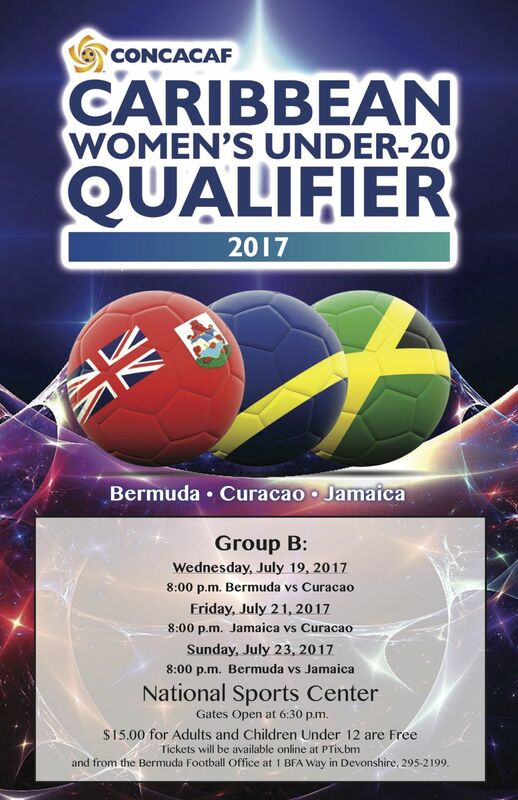 No, I think that if we got as much support as the guys do, then girls would be more eager and feel more encouraged to want to play football and strive to want to represent Bermuda. Since we have this opportunity to play in front of the local community we will now be able to show everyone what we have to offer. The Bermudian Coach that I admire the most would be Coach Aaron Denkins because he has coached me since I played at Dandy Town and he has always gone out of his way to encourage me and keep my head in the game even when I wanted to stop. He tells me what I need to hear even if it’s not what I want to hear. I have learned from everything he has taught me and I am willing to continue to listen to his wise words, because I know he just wants to just help me to be a better player. 6. How does it feel to get the opportunity to play in your own country and in front of a home crowd? I am actually very excited to play at home because not many people have really seen us all play in person, they always see videos or are just hear about the results and now we have the opportunity to showcase our talents. Congratulations Te’yah, excellent interview I know you have really put your heart and soul into developing your standard of play, continue to grow in the areas that is needed to become the professional player that your so heart desires. « Column: What Can An Independent MP Do?